This week we are working alongside the School Meals staff in our school to raise awareness of nut allergies. 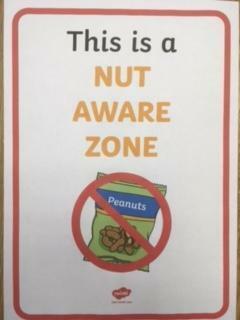 We have a number of pupils in school with nut allergies and therefore we need to do everything we can to keep our school a nut free zone. We need your help in this matter. Children with nut allergies may go into anaphylactic shock if they come in contact with any of these foods or with another pupil who has eaten these items. Staff are constantly reminding pupils about the need to be aware of food labelling and packaging and many have become quite proficient in identifying products which may contain nuts. Thank you for your continued support in this matter. It is much appreciated.